We worked directly with the luxury hair product brand, Oribe, to design a concept and narrative to promote a summer, Oribe-focused retail experience, promoting select Oribe products. Oribe sought an experience in which the design elements could be easily rolled out in salons across the country. We used the midtown Manhattan salon, Mizu, as a case study site, where we conducted research, and tested and developed our ideas. 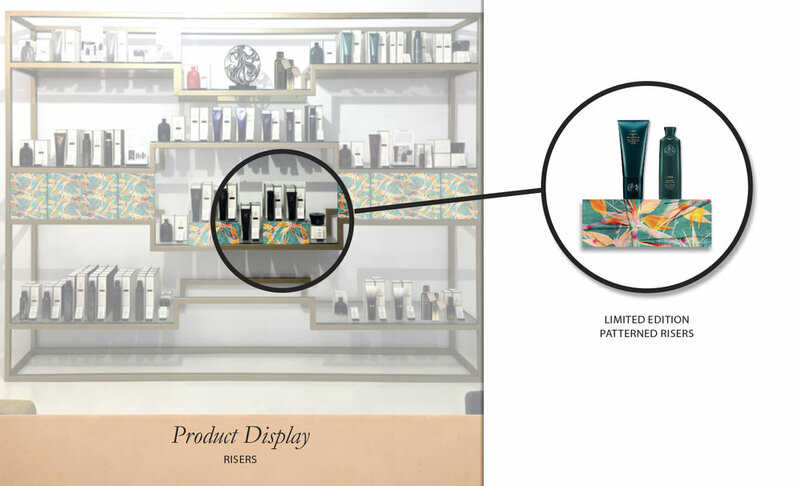 The result was several small designs that are powerfully combined to provide an immersive retail experience that takes the consumer on a journey through the salon, seamlessly inserting Oribe products at strategically identified, client interaction touch points around the salon.